Prepare the mussels. Wash and dry them. Place butter, 1 clove of minced garlic in a deep pot over medium heat. When melted, add white wine and the tomato juices from the can of diced tomatoes (I just open the can slightly, pour out all the liquid into the pot and set aside). Add mussels to the mix and cover. 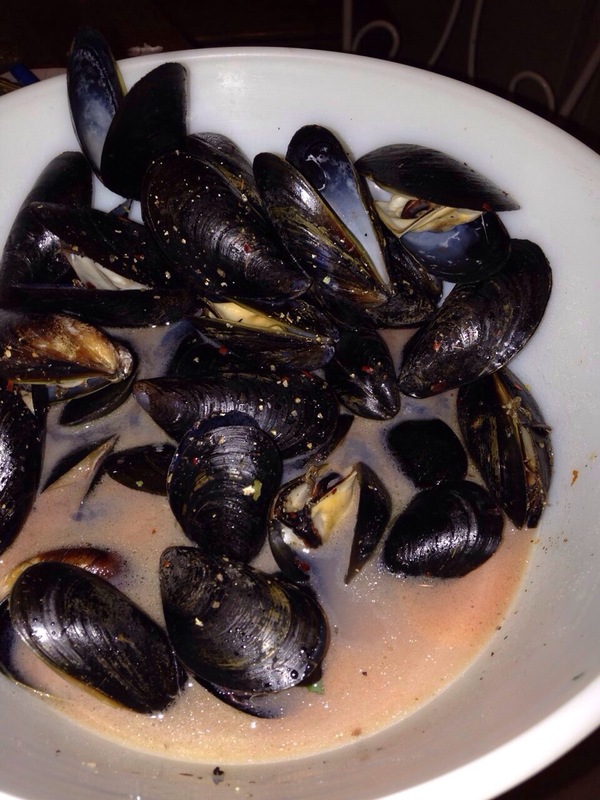 Once the mussels begin to open, turn off burner and remove from heat. Prepare the rice: bring a large skillet or a pot over medium high heat. Cook the garlic, onion, pepper and peas in the olive oil until onions are translucent. Add rice and mix to cover in olive oil. Add tomatoes and 1 cup of chicken stock. Cook rice by gradually adding chicken stock 1 cup at a time until the rice has absorbed all the liquid. Add seasoning, and salt and pepper to taste. 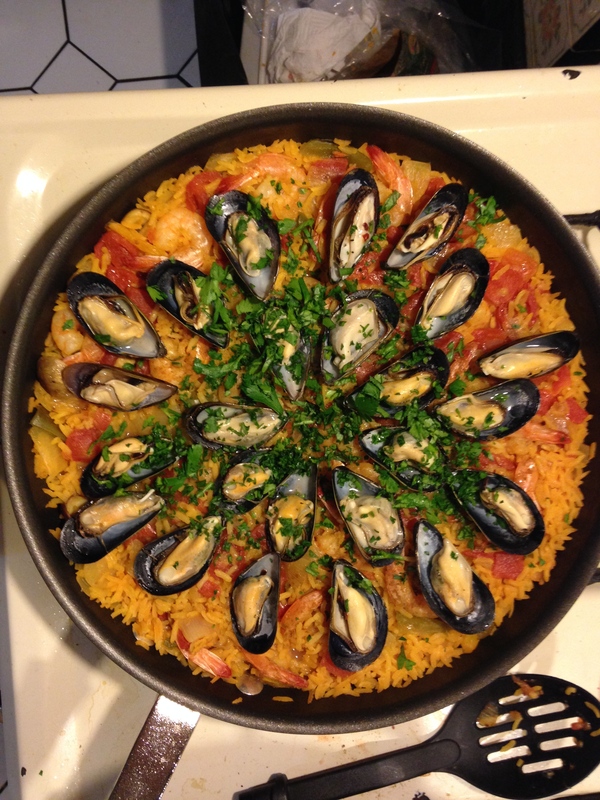 Arrange mussels on top and cover with freshly minced parsley. Serve immediately.